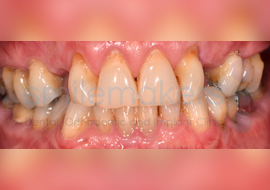 Thanks to technological advances in dentistry, porcelain bridges are now able to completely imitate your existing teeth, blending in with your existing smile. Peter attended Smilemakers looking for a solution to his missing upper left canine tooth. He was not keen on the bone grafting needed for a dental implant and, being a nervous patient, wanted a solution that was as simple as possible. After discussing the options, a solution was found in a beautifully crafted Maryland bridge, restoring the gap in a natural and aesthetic way. To Peter's delight no anaesthetic was required for any part of the treatment! 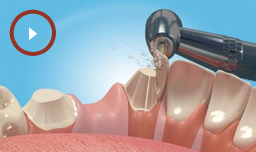 Bridges can be used to replace one or more missing teeth and consist of a false tooth (the pontic) attached to one or more of the adjacent teeth (the abutments). 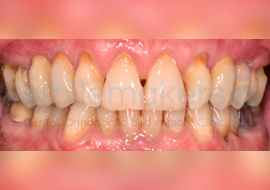 The number of teeth involved in the bridge will depend on the number of missing teeth, the location of the bridge, the health of the adjacent teeth and other clinical factors. Bridges are custom-made in a laboratory and can consist of metal, porcelain fused to metal or porcelain alone. Each type of bridge and material of construction has advantages and disadvantages and we will always have an initial consultation with you to determine that to which you are best suited. In these bridges the adjacent tooth or teeth are adjusted to allow crowns to be fitted which are linked to the false tooth, holding it in place. 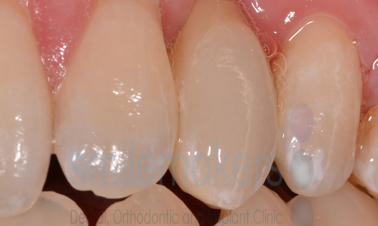 These bridges require minimal tooth preparation and are bonded in place using a metal or porcelain wing on the inside of the adjacent tooth or teeth. These bridges are placed over implants, where insufficient teeth remain to act as abutments for the other 2 types of bridges. 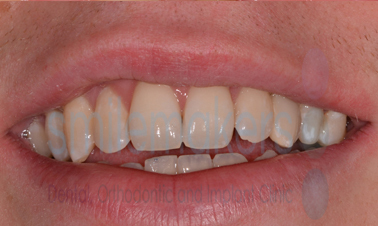 Typically, bridges are placed during two appointments. 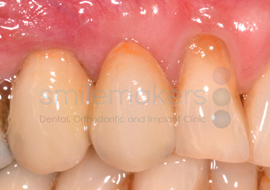 Appointment 1: The type of bridge chosen will determine the amount of tooth preparation required at this visit, and also whether anaesthetic is required. 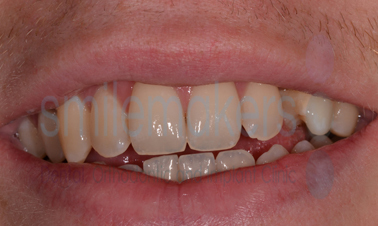 An impression will be taken of the teeth and gap in question, which is then used to create the bridge. At this stage, we'll also determine the right shade for your bridge and fit a temporary bridge until your new one is ready. 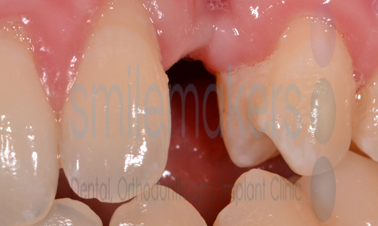 Appointment 2: We'll remove the temporary bridge and fit the new one. Once we're happy it fits well and delivers a good bite, we'll cement it into place and you walk out a new you! What are the advantages and disadvantages of bridges?